Nie trać czasu na zakorkowanych ulicach i w trakcie domowych obowiązków. Słuchaj interesujących i wartościowych treści gdziekolwiek jesteś. 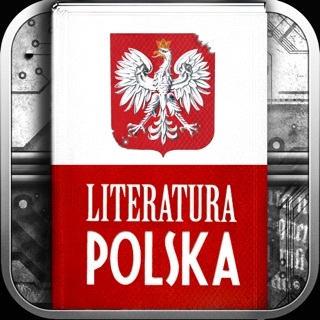 Wybieraj spośród ponad 100 cyklicznych audycji, audio prasy, treści relaksacyjnych i wyselekcjonowanego zestawu audiobooków. Wypróbuj już dziś w nowoczesnej aplikacji mobilnej. Don’t waste time. Start listening to interesting content wherever you are - while travelling, in traffic, in the gym or during mundane house duties. Choose from over 100 audio shows, audio press, relaxation recordings and selected range of audiobooks. Currently the application supports German language content for the customers in Austria and Polish for the rest of the World. - By activating a subscription, you get access to the entire paid content directory in the Lecton System. - Using the subscription service requires a user account in the Lecton System. If you do not have it yet, we will ask you to create it in the next step. - When you first subscribe to the Lecton System, you are granted a 14 day trial period, during which you can test the service freely, with no charge. Any unused portion of a free trial period will be forfeited when you purchase a subscription. - Outside the trial period the subscription is renewing monthly and the cost of subscription is 29,99 PLN per month. The payments will be charged to your iTunes account. - Subscription renews automatically unless auto-renew is turned off at least 24 hours before the end of the current period. Your account will be charged for renewal within 24 hours prior to the end of the current period for the monthly cost of subscription mentioned above. - You can resign from the service at any time, retaining the right to use it in the period that has already been paid. - In case of any problems with the use of the application and services provided through it, be sure to let us know. - Starting the digital subscription service in the Lecton System by turning on any paid content playback available in the system means that you give up your right to withdraw from the contract within 14 days from conclusion of the transaction. - make some other small improvements. Be sure to check out newest episodes of our audio shows. Join thousands of people subscribing and listening to high quality audio content from popular and well known brands, podcasts, audio series and relaxation recordings.